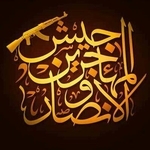 Translating to "the Army of Emigrants and the Helpers," Jaysh al-Muhajireen wa al-Ansar was originally led by Omar ash-Shishani ("Omar the Chechen," though he is in fact of Georgian origin), who was appointed northern regional commander for Syria by the Islamic State's leader Abu Bakr al-Baghdadi in May 2013. From this point until November 2013, the group acted as a front for the Islamic State, featuring foreign fighters of Caucasus origin but also some other nationalities. In November, the group split as those who had an oath of loyalty to the Caucasus Emirate retained the name of Jaysh al-Muhajireen wa al-Ansar under the leadership of one Salah ad-Din ash-Shishani, while loyalists to Omar ash-Shishani formally joined the Islamic State. The group has coordinated closely with Ansar al-Islam, Jabhat al-Nusra, and the Islamic Front in Aleppo province. In July 2014, it joined the Jabhat Ansar al-Din coalition. Salah ad-Din ash-Shishani has subsequently been removed from his post as leader of Jaysh al-Muhajireen wa al-Ansar, affirming his own allegiance to the Caucasus Emirate following his dismissal and now leading his own contingent. Jaysh al-Muhajireen wa al-Ansar has since joined Jabhat al-Nusra.